A coherent policy is yet to be agreed among EU countries, with many still refusing to share the burden of Europe's refugee crisis. 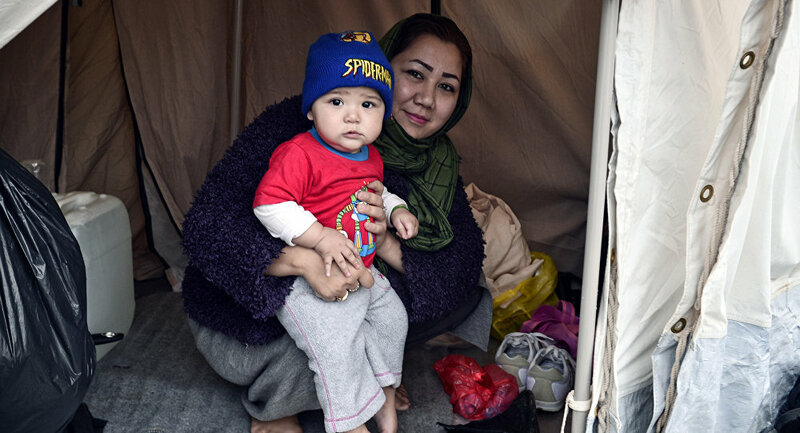 Migrants and refugees remain in "untenable" and "dire" conditions in refugee camps in Greece as the numbers at reception centers soar above capacity. ​However, Dimitris Avramopoulos has reiterated his calls for Europe to show more solidarity and help Greece deal with the refugee crisis on its shores. "Greece has already shown its humanity in dealing with the refugee crisis, a crisis that no EU member state is able or should be left to cope with alone," Mr. Avramopoulos said during his visit to the island of Lesbos. ​"We cannot give up now. The European humanitarian tradition must be maintained," Mr. Avramopoulos added. ​Commissioner Avramopoulos issued the statement during his visit to the island, using the opportunity to "call on all EU member states to continue stepping up the number of people they relocate from Greece and offer safe haven in their own countries." Brussels has been accused of being detached from reality in its handling of the refugee crisis and "outsourcing its dirty work" after striking a deal with Ankara to take back migrants from Greece while the EU resettles Syrian refugees from Turkey. Yet it's the people living on the Greek islands and the local authorities based there that have been left to deal with the immediate impact of the refugee crisis while the European Union relinquished more financial aid and assistance to the islands. ​However, it seems many of the islands are still waiting — or living with the legacy of a lack of support. Dimitris Avramopoulos reiterated his support for the islanders, "I know I can count on you. You will always be able to count on us. This will not be forever." "We will continue to stand side by side with you in working to decongest the islands, transferring the vulnerable people to the mainland, returning people who do not have a right to asylum and speeding up the processing of claims to return those people back to Turkey that can receive protection there," he added optimistically. He also called upon the EU's "moral duty" to respond "urgently, to the humanitarian situation." But it's clear this urgent response, remains long overdue.